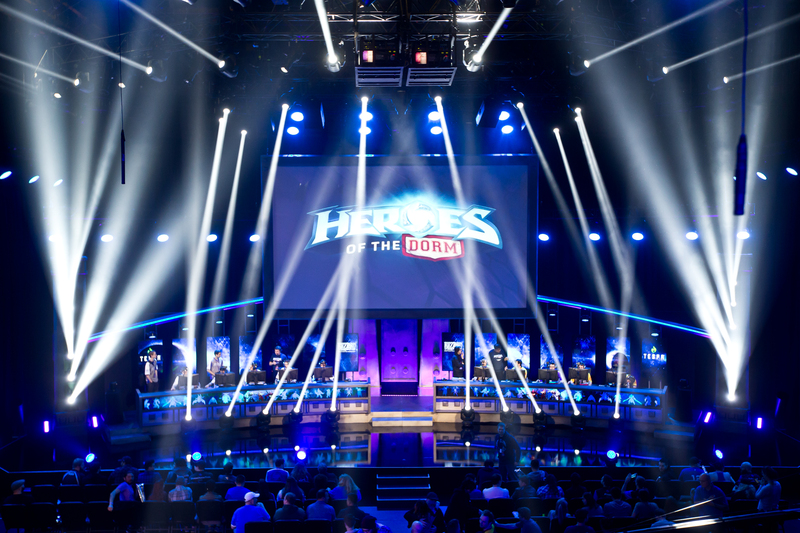 Heroes of the Dorm and the Hearthstone Collegiate Championships are in the books. With the academic year finished, Shacknews speaks to Tespa co-founder Adam Rosen about this month's tournaments, as well as what's ahead for the leader in college esports. With the school year coming to a close, that means it's also time for collegiate esports to take a break. But for the folks at Tespa, there's never any downtime. 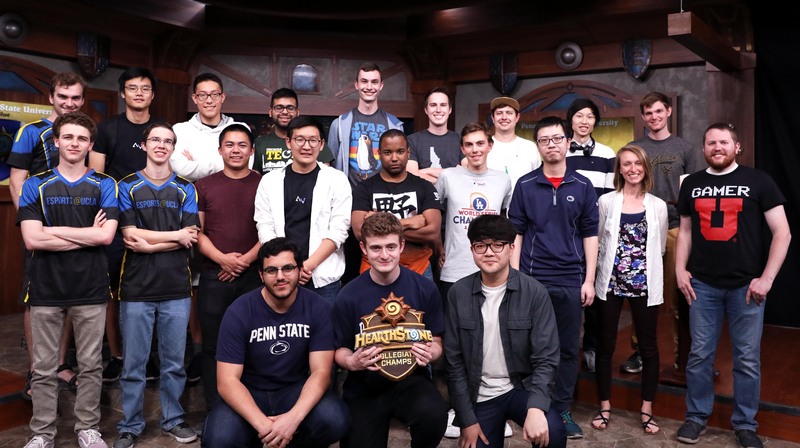 The organization dedicated to growing the college esports scene is coming off one of its biggest years ever and just wrapped up a wild month that included Heroes of the Dorm and the Hearthstone Collegiate Championship. Shacknews previously checked in with Tespa co-founder Adam Rosen back in February, following the exciting Overwatch Fiesta Bowl. With another pair of events in the books, Shacknews checks back in with Rosen to reflect on Heroes of the Dorm, the Hearthstone Collegiate Championship, and also on what's next for Tespa. Shacknews: I want to start off by talking about Heroes of the Dorm. How do you feel the event went overall, especially compared to past events? Adam Rosen, Tespa co-founder: Overall, I think the event went extremely well. It was really special for us to be able to take this competition, which now has four years of history, and bring it to Blizzard Arena, which I think really, from our perspective, represents the evolution of entertainment at-large. It was really exciting looking back and seeing all the changes that we've seen over the course of those four years. So comparing the responses that we got from year one from outsiders, media, and universities to the response that we have today from this event. I think it's amazing. And this year was also really exciting for us, because we were able to reflect on that growth a little bit and realize how pivotal Heroes of the Dorm has been in the evolution and the growth of collegiate esports, but also esports abroad. Shacknews: How do you rate the Blizzard Arena in terms of turnout and atmosphere compared to some of the Heroes of the Dorm venues used in the past? Rosen: So we sold out completely at Blizzard Arena and I think we sold out faster than we've sold out any other event previously. One of the things I love about Dorm is that the fanbase is so passionate. One of the things that we found as we were there and as I was meeting fans who were attending, I learned that there were quite a few people that prided themselves on being at every single Heroes of the Dorm, which to me is amazing. What we see is that fans who are coming to Heroes of the Dorm are so passionate, so dedicated, so energetic about collegiate esports. They're people who show up, who four years ago were college students themselves, and through programs like Tespa and Heroes of the Dorm, they've been able to go off and do amazing things within the esports industry as a whole. So I think a lot of that is fueled by that overall passion by folks who are attending. 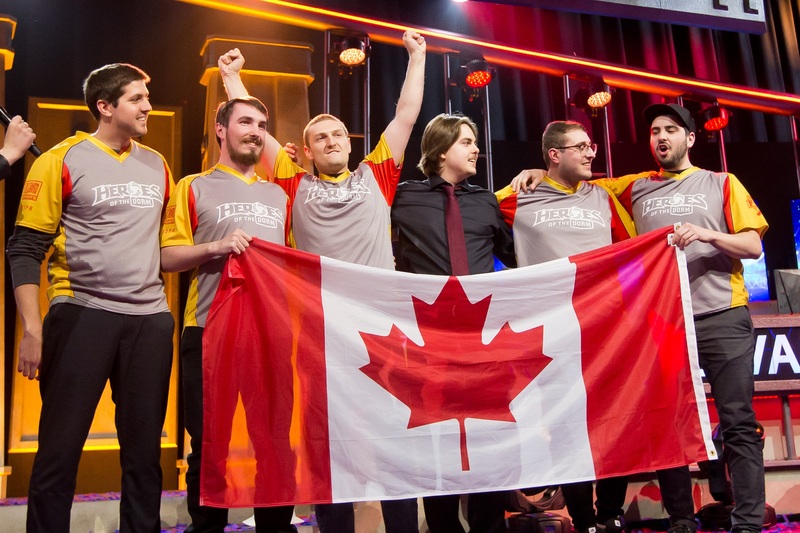 Shacknews: Universite Laval won it all this year, the first Canadian team to not only make the Heroic Four, but also win Heroes of the Dorm. What does it mean to Tespa to have such strong Canadian representation and what was the original process for Tespa expanding into Canada all those years ago? Rosen: So for us, we love that a Canadian school has won Heroes of the Dorm. We never had a Canadian team make it to the Heroic Four before and it's really interesting to us to see that Canadian schools are able to perform at the top level of competition, even though they're much fewer in number than U.S. universities, which are, by far, the majority of participants. I think one of the reasons why it's really special to us is because it really speaks to the level of competition this year and the playing field as a whole, which is getting a lot closer. I look back to the very first Heroes of the Dorm, and I think if we were to look throughout the 64 teams that participated, there's a huge gap in terms of skill. This year, we were able to see that a lot tighter. I think throughout the competition we were able to see teams that we thought would do well. You got your UCI, which has a varsity team with scholarships and an arena that they have dedicated practice space in. You got your LSU, which had previous champions as a part of their team and everything going for them to win and to see those guys upset and see a team like Laval, who nobody had really been looking at as a clear frontrunner beyond this year, I think it's really special. And I think it speaks to the level that the competition as a whole is evolving to. You also asked about our expansion into Canada and I think Heroes of the Dorm is one of those programs that... when we think about Heroes of the Dorm, I think it really represents, at a very broad level, what esports is all about. It represents the idea that you can be a student on campus who loves gaming, who wants to meet like-minded people, they can get involved, they can realize there's a pathway to play, and can pursue that passion all the way up to that big stage. For us, when we think about a program like Heroes of the Dorm, it makes sense for it to be acceptable to not only students in the U.S., but students throughout North America. It's been an interesting expansion for us, but I think it's paid off and we're super excited that a Canadian team has finally come out on top. Shacknews: Does Tespa hope to continue growing internationally? Any countries in mind for the future? Rosen: We aren't looking at any particular countries right now, in terms of what the next evolution is. But we're constantly looking at really understanding how we can continue to grow and continue to expand. I think as we look at North America right now, our program has grown to 260 chapters from the community side and we've reached 1,500 chapters from the competitive side and I think what we've proven is that there's this tremendous amount of interest on college campuses. There's a tremendous amount of interest, not only from students, but from administrators, from communities that are following these schools, and we think that has really helped to foster the growth that we've seen, looking back over the past four years. We're confident in looking beyond, looking into other regions, that there's just as much potential there. We don't have any specific targets that we have our eyes on yet that we're ready to talk about, but it is something that we're looking at. Shacknews: Briefly touching on the tournament itself, were there any moments or matches that you can remember that made you think "The pro HGC teams can really learn from these kids?" Rosen: Yes! It was the Cho'gall pick that happened! I think one of the interesting things about Heroes of the Dorm is that the students who are playing are willing to take risks sometimes. They're willing to try crazy strategies that maybe no professoinal would try in that situation. I think a lot of times they're willing to take some of those risks. And as we saw with Heroes of the Dorm, it can pay off, right? It surprises everybody and it's not only a fun experience for the players, but it's also really exciting to be able to watch as a spectator. I think beyond that, I think one of the things that was also really interesting to me about the college students who were participating and made it to the Finals, they were just so happy to be there. They're enthused to be able to see something they've poured their hearts and souls into for the past year pay off and be recognized in such a public way. And a lot of them, it's very clear when I would go up to them and talk to the players, ask how they were doing, a lot of times they would say that they weren't sure about the competition and how they'd fare, but they were super excited to have the opportunity to play on that level. And I think that level of fun and that level of wanting to be there for the sake of participating in the competition is infectuous and I think everybody in Blizzard Arena during Heroes of the Dorm could feel how exciting and how fun it was and any player in the world could learn from that. Shacknews: Now I want to dive into Hearthstone, having just concluded the Hearthstone Collegiate Championship. The 3v3, best-of-5 Conqueset format has been interesting, simply because it ensures that every class is played. Is that the main goal behind using that format? Rosen: One of the things that we wanted to do was create a format that helps to highlight the elements of the team format. So typically, when we look at Hearthstone, it's typically played in a 1-vs-1 format. You have one player playing against another player. One of the things that's really special to us about the team format is that we're able to see a lot of changes in the way that the game is played. We're able to see players start to specialize. We're able to see some people come together who are good at building decks, others who are good at research, others who are good at crunching numbers. And I think the Conquest format that we had, in terms of having every deck that's played actually represented, is really special because it helps to highlight the different strengths and weaknesses of the individual players. And it also helps to give each player their spotlight. We see that they're working together as a team, but still, every player is bringing something unique and different to the playing field. That's one of the reasons that we like that format, but the other reason is that it's really fun to watch, with all teams having to come to the competition with nine really awesome decks prepared. I think it introduces a whole other level of strategy and a whole other level of interest when you're watching. It's a lot of fun and having the opportunity to see every deck represented in some capacity is really exciting. Shacknews: There was a much more casual and intimate feel to this year's Hearthstone championship weekend. Is that mostly because Hearthstone is more of a laid back type of game in itself or is part of it to provide a contrast to the more raucous Heroes of the Dorm atmosphere? Rosen: I think it's a little bit of both. When we look at our esports portfolio for collegiate esports, we're hosting leagues for six different games. We have Blizzard's competitive titles and we also have Rocket League and I think each one of the games is a little bit different. Of course the gameplay is different. The team structure is different. But also, each game has a unique look and feel. Each game has a bit of a special community and one of the things that we like to do from a competitive standpoint is that we like to really be able to honor what's special about the game. I think Hearthstone is a game that's super accessible. It's about friends coming together, playing, getting better, and competing against each other, but doing in a communal, almost family, setting. And I think the Finals this past weekend was a really good way to showcase that. You didn't see this, but a lot of the players the entire time came in as strangers and they left as friends. 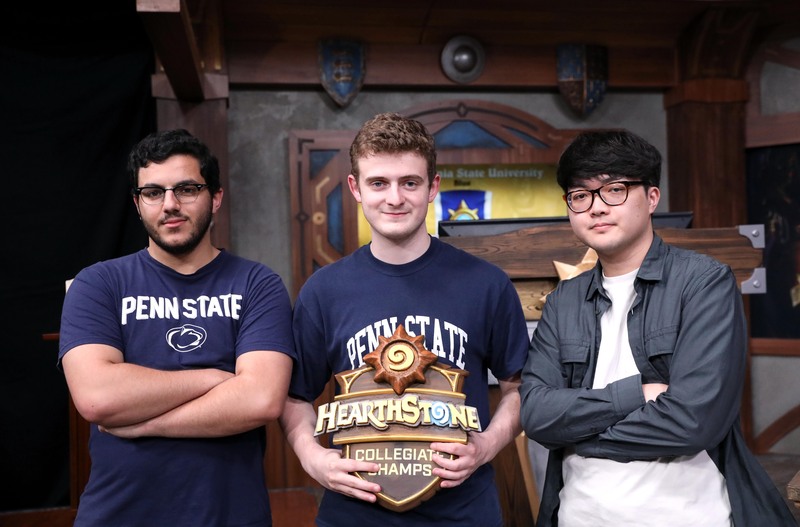 They were spending all of the downtime playing together, laughing around, joking, and I think that's really part of the fundamental nature of Hearthstone as a game, is the way that it can bring people togehter, even if they are competing at the highest level of collegiate competition against each other head-to-head. Shacknews: That's a good way to segue into some of the players themselves. I want to talk about some of their stories. For example, you had a grad student from Stanford who's taken time out from her dark matter research. So I wanted to ask you, what individual stories from any of these competitors have you seen that have really made an impact on you? Rosen: I'm going to take this at a broad level first. As a whole, one of the stories that I really appreciate is not just the player who's playing now, but also looking at how the player got to where they are and where they go in the future. Looking back at Heroes of the Dorm for the past four years, I think it's really interesting to see people who started their careers with Heroes of the Dorm and where they've gone today. I think if we were to look at a lot of the players who are playing on professional teams, a lot of the players who are participating in the active divisions in North America, a lot of them got their starts through Heroes of the Dorm. This year, we had our closing ceremony where we were joined by two of our previous champions. We had Fan [Yang] from the very first year in 2015 and we had Michael Udall from 2016. Both of those players after participating in Heroes of the Dorm went on to participate at the highest level. Fan actually went on to win the World Championship later that year at BlizzCon. From there, we've been able to follow their stories, where Mike Udall has now started a team, he's the team captain, he's rallying other players together, he's really building a career around esports and all of that was possible because he got his start in Heroes of the Dorm. I also look behind the scenes. We had one of the players from Illinois the very first year in 2015. He was a player who made it to the Finals, hadn't really done anything in gaming before, his name was Patrick ["Balarius" Benassi]. After the Finals, he looked at his campus and he didn't have a Tespa chapter on his campus. So he started a Tespa chapter and it quickly became one of the largest in his region and then afterwards, he started working with Tespa officially as a tournament admin and rose his way through the ranks. This year, he was actually one of the leads of the Heroes of the Dorm program itself. All from starting back as a player who wanted to play because he wanted to have a good time with his friends all the way towards coming into a position where he can help create these experiences for others. I think that's really special that programs like Heroes of the Dorm are able to provide that pathway where students are able to find their future, whether that means a future through gaming as a player or the future from an organizer perspective, whether that's production, administration, or operations, or even being the product lead for a competition like Heroes of the Dorm. Shacknews: And lastly, what's next for Tespa? Rosen: Now that our leagues are wrapped up for the previous year, we are all in full planning mode for the year ahead. We're super excited about the upcoming academic year for 2018-2019. Looking back this year, we made a ton of huge progress. We had six leagues, we gave out $1 million in scholarships, we partnered for the first time with major organizations like Fiesta Bowl, we partnered with Raycom Sports for a TV show that we distributed to 80 markets across the U.S., and what we're doing is looking at all of these major advancements that we've made and going back to the drawing board. We're looking at those things and saying, "Great. We had an amazing year. How do we make it better next year? How do we make it a better experience for students, how do we make it a better experience for the universities who are now forming varsity programs around these leagues, and how do we make it a better experience for the viewers? For the spectators who want to come in and be a part of the college experience, even if they aren't college students themselves?" We're very deep in planning. We don't have any specific plans to talk about for what the upcoming year looks like, but we're super excited near the end of summer to be able to unveil everything. The college esports season has concluded. Come back in August to learn more about what's next for Tespa, as well as the beginning of the new college esports seasons for Overwatch, StarCraft, and more.